Perfect 1, 2, 3 (or 30, 50, 70) for a Happy Birthday Party Cake! 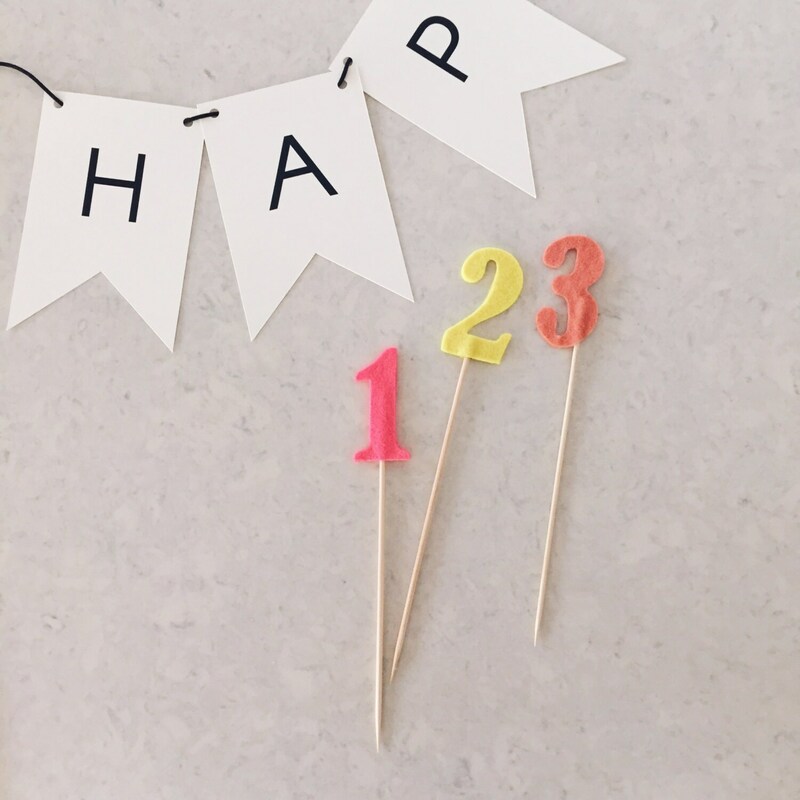 Stiffened felt numbers, double sided, with wooden dowel to stick into a cake or cupcake. Length of whole topper measures approximately: 9-10" and can be cut to desired length.